To cater to the extensive needs of the clients, we offer in the national market Zero Till Drill. Zero Till Drill is specifically designed by our manufacturing team to save time, fuel and irrigation expenses. Manufactured using high-grade raw material, the Zero Till Drill offered by us is highly efficient and is much demanded for its exclusive features. 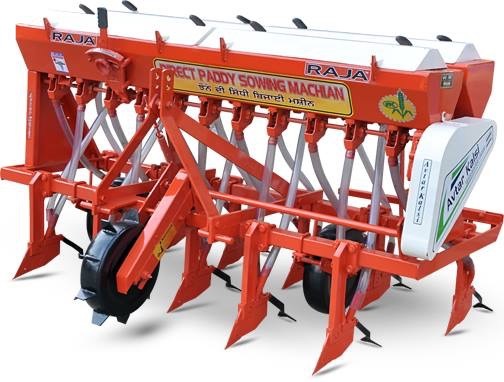 It is further used in agriculture sector to increase the yield of the field. Overall Width 72" 87" 102"
Working Width 60" 75" 90"
Row Spacing 7.5 " 7.5 " 7.5"
Note : Technical Specifications and colors of the products may change without any notice.